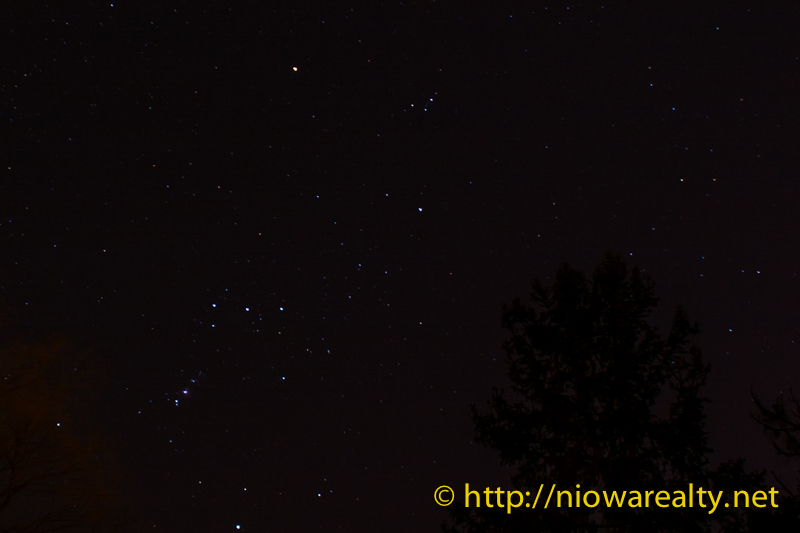 Share the post "Under the Stars"
One night this past week as I was coming home, I noticed how clear the night sky was. One can’t help but notice the grandeur of creation. I couldn’t help but thinking how so many people don’t take the time to notice such things. Unfortunately we all seem to be caught up in the gerbil mill of playing keep up with all the daily duties we’ve imposed upon ourselves just to make sure we have all the “things” we want in our lives. I remember reading something written by a woman long ago who challenged nearly everything in our mechanical world. She encouraged everyone to throw open the hatches in their lives and start feeling nature around them with all senses engaged. I was once walking along a riverbank thinking of her as I began to notice the intricacies of the world around me. The tiny ferns growing out of the limestone cliffs, the wild flowers growing between rocks with their delicate leaves, the snails and water spiders, and even a turtle leisurely floating downstream at the current’s speed. The smells, the visuals and the textures seemed to all come to life and sort of glow because they were being noticed and appreciated. Sometimes when I’m showing homes, I look past the personal “stuff” of the owners and look more at room design and window placement. Too many buyers and sellers concern themselves with how their “stuff” looks rather than the structure itself. I showed a home several days ago that I gave a thumbs down to a long term client who is looking for a different home. Too many slapped together improvements that would take months or possibly years to correct. Unfortunately I am not the most liked at times because of my less than sugar coated comments regarding dysfunctional homes. Too much money and time is often spent to un-do and then re-do. We must only look at nature’s creations and consider what is true design and appeal. If you’re looking for direction in your life’s journey, spend a little time under the stars. You may find your mind a bit more clear.